Bayport-Blue Point Heritage Association | Recipes! 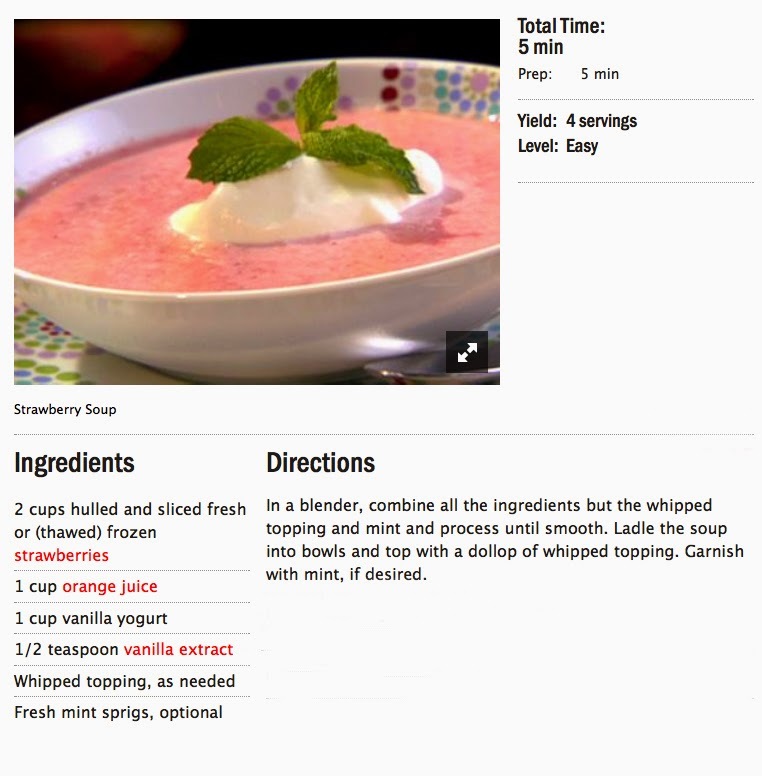 Favorite recipes: At the First Bloom Tea we annually have our Strawberry Soup. 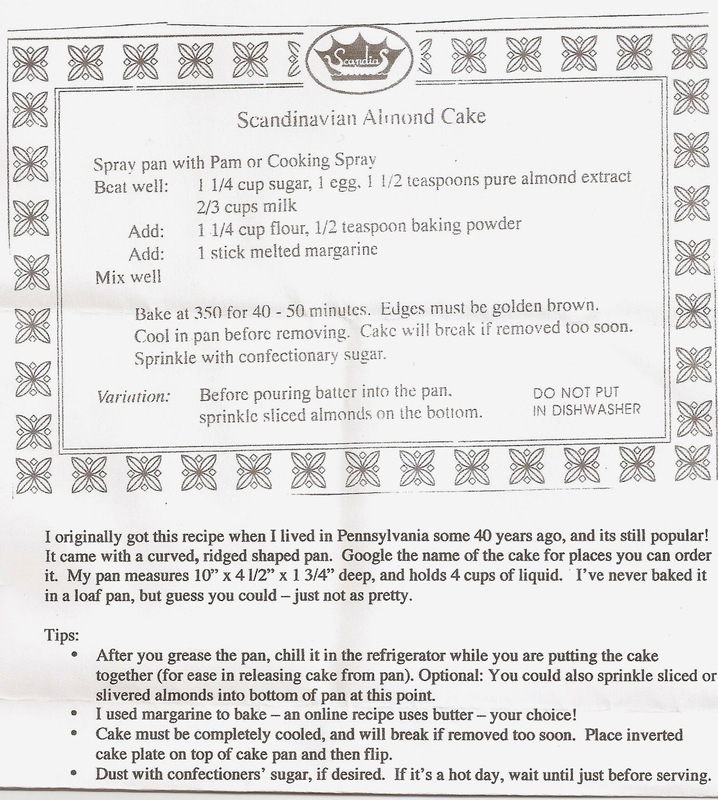 Recently a member, Rose A., shared her Scandinavian Almond Cake. It was praised for its delicious flavor and moistness. 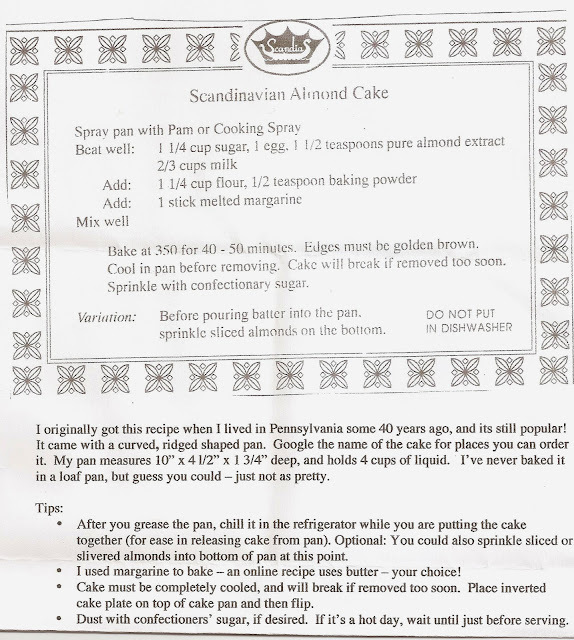 Rose uses the traditional Scandinavian pan but any pan can be adapted for use. You can see other photos here and can order the pan from Amazon.com.